All achievement lists that do not already have a published guide, will have a control that allows you to submit an achievement guide. You do not need to be logged in to submit a guide and guides will not immediately go live. If you submit a guide while you are logged in you will be able to track the submission progress from the submission page on your user profile. If you are not logged in then you will not be able to do this. If you submit a guide and realize that you were not logged in, get in touch and we will see if we can get the submission associated with your user account. 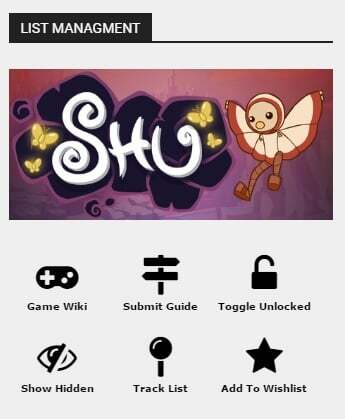 Achievement guides can be submitted on mobile and PC. Due to the number of achievements in some games, we recommend you use a PC to reduce any errors in typing the guide information. When you are viewing an achievement list you will see the list controls in the right hand sidebar on PC and below the list on mobile. On the top row of icons, in the center, you will see a control to submit a guide. Click this and you will be brought to the guide submission page. This page may take a few seconds to load as there can often be a lot of achievements and a control for each achievement will need to be loaded. Once all have loaded, you will be able to fill in the fields to create the achievement guide. It can take some time to create an achievement guide. To make life easy for you we have created a simple guide template. When you are on the submission page you will see a link that will bring you to the guide template. You can save this to a document on your computer and fill it in as you go along. 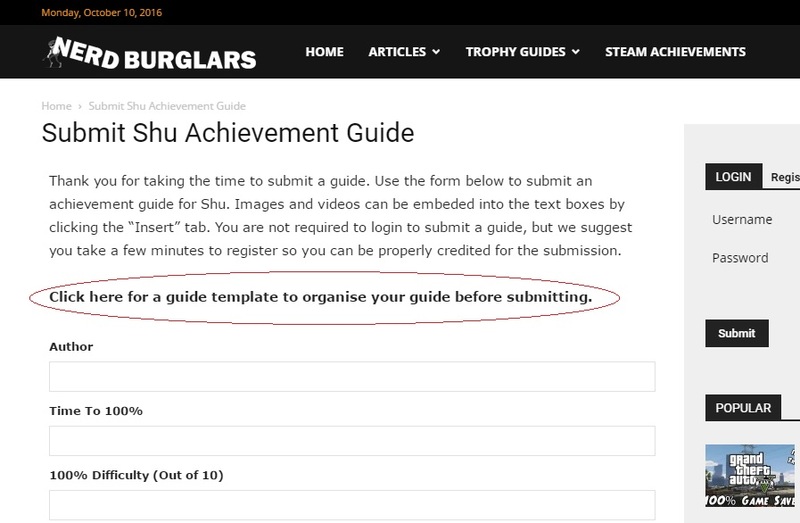 Once complete you can just copy and paste the guide data over to the achievement guide submission page for the Steam game of your choice. Guides can be submitted for every game. A full list of the latest steam games that support achievements can be found by clicking this link.